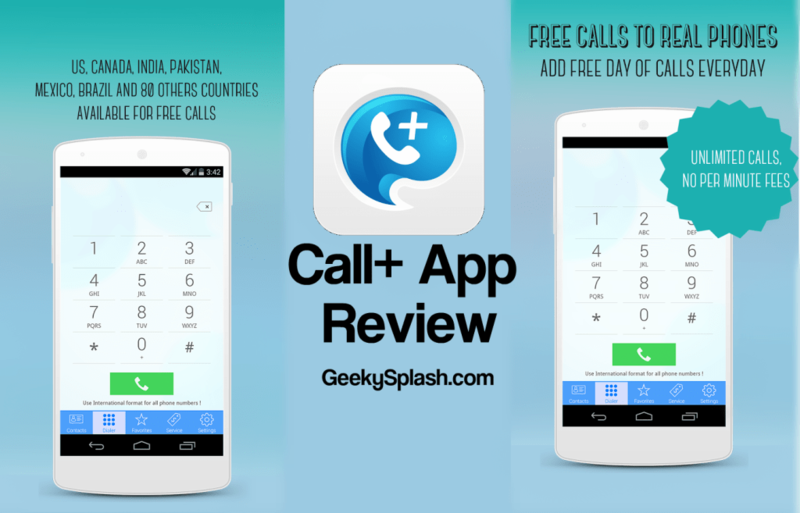 A trendy new app,named Call+ has paved a path to make calls on land-line and cell phones for free of cost in nearly 85 countries including USA, India ,Bangladesh , Pakisthan etc.This app,i.e.,Call+ app allows us to make free calls to land-line and mobile phones for free allowing the user at the other end to receive the calls without the installation of this app on his device. Why Call+ is better than Viber , LINE ? Let’s consider a case with some app’s like Viber and Line ,one of the leading apps.Here the case is the same,i.e.,both these apps allows us to make free calls but the problem is that the user at the other end must also have the same app installed in his device.And just imagine how viral this app may go around with such a feature.And even no one likes to spend money for phone calls when we are blessed with this Call+ App. Well,Call+ App is Available for Android and iOS devices,allowing us to call both landlines and mobiles and remember that it shows your existing phone number as the caller ID.No spoofing here guys.Good news is that You can make unlimited free calls to anyone in the continental US and landlines in Mexico,China and Brazil. And coming to the bad news,if you want to call a different country,you have three options.First one is You can buy one day of unlimited-calling service for 99 cents,Second you can buy two days for $1.99 and the third is that you can buy for a month at $19.99. And the other best part offered by this app is that Call+ also allows users to complete various “partner” offers in exchange for days of service.Bad news for the Indian users is that they can’t access this app on their smartphones due to some regulations.